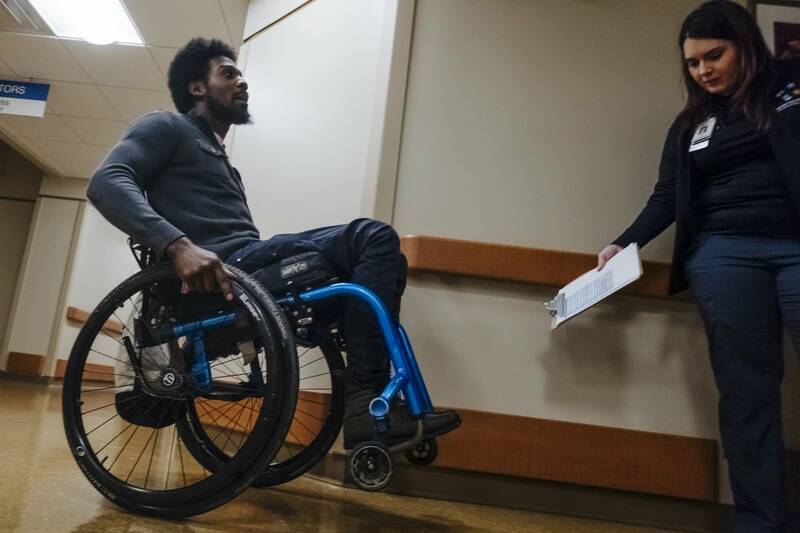 In Minneapolis, most gunshot victims survive their wounds. But some don't walk away from the experience. On the night of June 26, D'Andre Alexander got into a fight with a man at a bar in Uptown that spilled out onto the street. Police say the man pulled out a pistol and fired two shots. 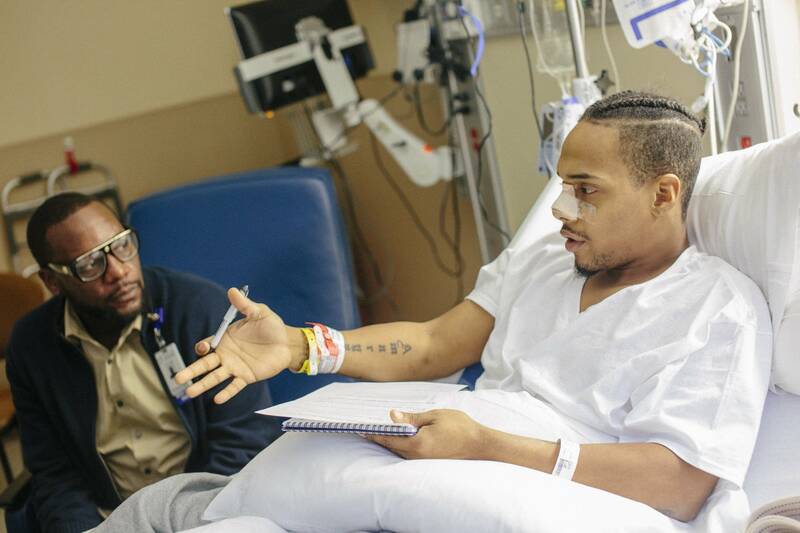 "I walked to the middle of the street after I got shot," said Alexander. "I didn't know that I got hit at the time. I felt my legs get weak and I lay down, because I felt really weak. And I couldn't move my legs after that." Alexander, 22, still can't move his legs. 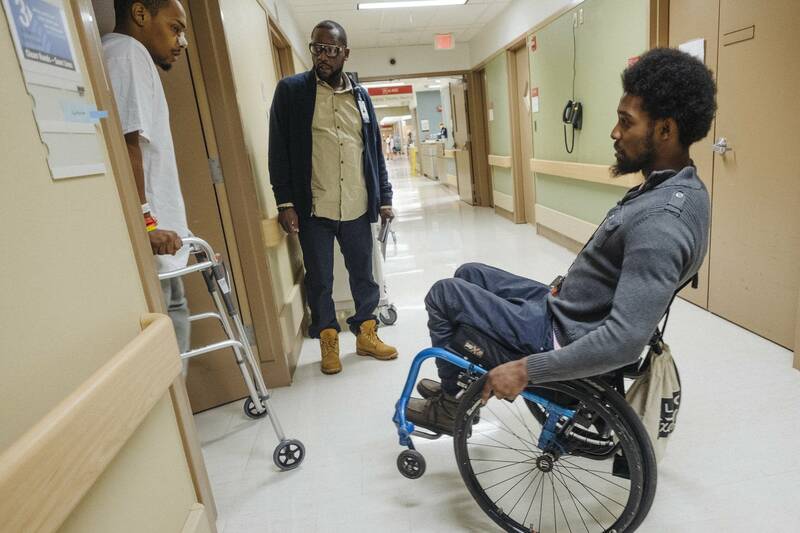 A bullet damaged his spinal cord and left him paralyzed from the waist down. Eddie Arlondoe Burch was charged with the shooting. His attorney has said Burch, 30, was defending himself against Alexander. Burch goes on trial next January. • Regulation: What if we treated gun violence like a public health crisis? 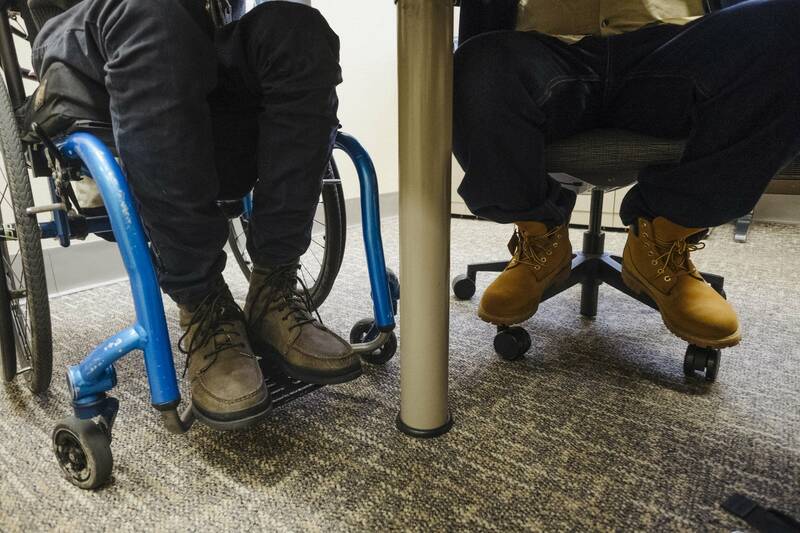 On a recent weekday morning, Alexander glides his wheel chair into an office at HCMC to check in with counselor Farji Shaheer, one of two who staff the hospital's Next Step program. Since 2016, 170 HCMC patients have participated in the program. The majority of whom are, like Alexander, between 14 and 26 years of age, black and have been injured by gun fire. The program was made possible by grants from the Minnesota Office of Justice Programs and the Minneapolis Health Department. Next Step also recently received funding for two more years at $140,000 each year. Shaheer is uniquely qualified for the job. 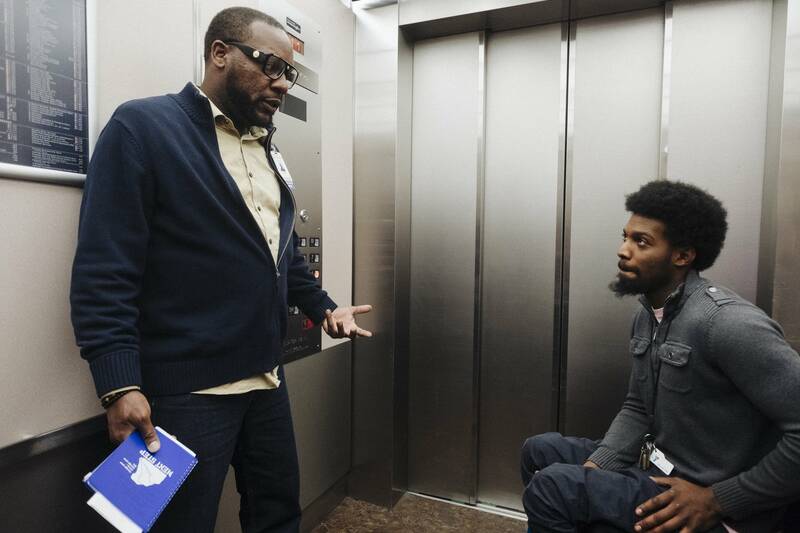 Raised in a violent neighborhood on Chicago's South Side, Shaheer sees a few common factors which fuel the gunfire. Too often, young people who are victims of or witnesses to violence suffer from post-traumatic stress disorder, said Shaheer. And he said that kind of stress increases the risk for young people of not only being victimized again, but also to commit acts of violence. "Right now, we are dealing with a group of emotional, hurt, historically traumatized young men who really don't know how to express themselves other than in physically acting in acts of violence," said Shaheer. Only 3 percent of Next Step participants have come back to the hospital to be treated again for violent injuries. Shaheer said in other hospitals around the country, that return rate averages 40 percent. Gun violence is a cancer, said Shaheer. And the goal of Next Step and other hospital intervention programs around the country is to keep it from spreading. One way to do that is to soothe hurt and angry feelings which can lead to violent reprisals. "Now, the support and the therapy that goes around that is a positive cancer," said Shaheer, who has a caseload of about 25 patients, the youngest of whom is 13-years-old. "Because we meet one individual. We change that person's mind. We meet their family. We change the minds of the family around them." Shaheer helps patients apply for crime victim reparations benefits that are available from the state's Office of Justice Programs. If there's a delay in payments, Shaheer said the program can help the victims and their families pay for rent, childcare or other expenses that are due while they wait on help from the government. Shaheer also provides emotional support, especially for young people who don't get that kind of help from home. For D'Andre Alexander, emotional support from his family — mom and two younger sisters — has played a large role in helping him recover. Some of Alexander's friends, he said, couldn't deal with him being in the chair. He also reaches out to vent to Shaheer when he's having a bad day. "He's there, if I need him to be there," said Alexander. And sometimes, Shaheer calls Alexander out of the blue and invites him to meet other guys in the program — several of whom have also been paralyzed by their injuries. Alexander is coming to grips with some of the limitations caused by his injuries. Before he became paralyzed and confined to a wheelchair, Alexander was a diesel mechanic. "I love ripping out pieces of cars and throwing them all over the place and I can't do that anymore," said Alexander. "Now, I'm having to find another passion. Imagine living your whole life as a surgeon and one day you lose your hands." But the chair has not completely prevented Alexander from exercising his passion for automobiles. He installed a kit which allows him to operate his car by hand. 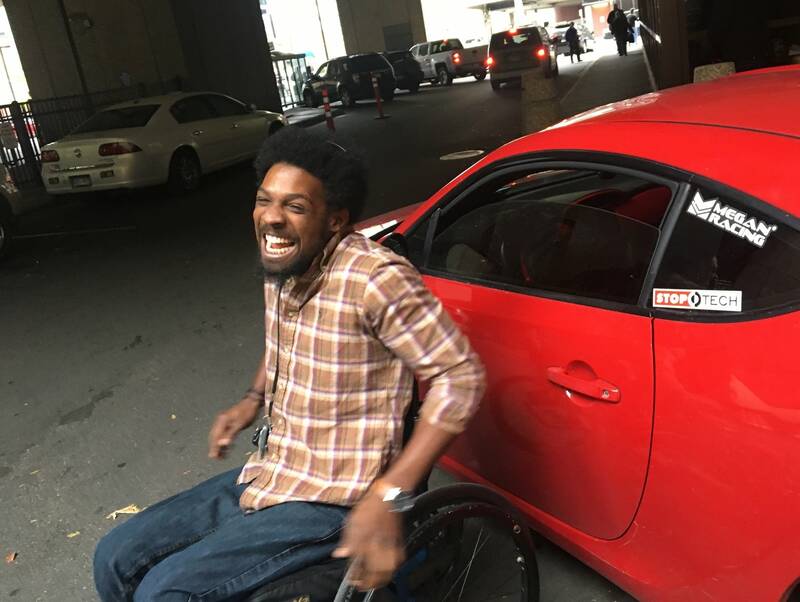 Outside the hospital, Alexander pulls himself out of his chair and into his bright red sports car. He quickly pulls the wheels off the chair, folds the chair flat and places it on the front passenger seat. Alexander revs the engine as he pulls away. Shaheer beams with joy. 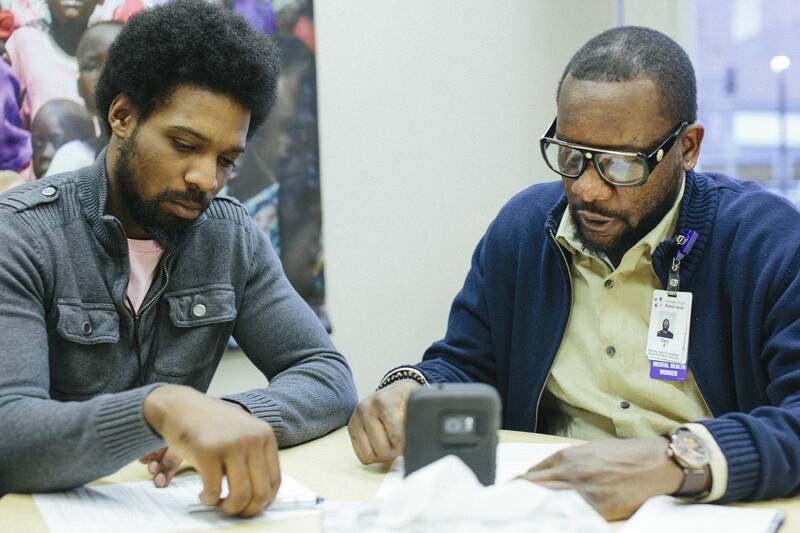 "That's the part of my work that I love," said Shaheer, who added that the next phase of Next Step is to acquire funding to hire people who've been through the program, like Alexander, to become counselors. 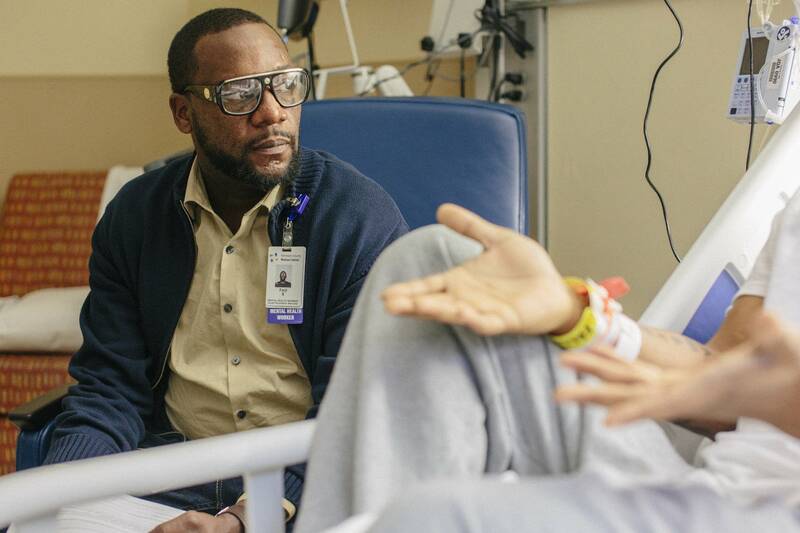 "It's hard seeing them come into the hospital. It's hard seeing them go through what they go through, but once they start recovering — man, it's a beautiful sight."